Now you know how much we love a messy, grungy eye? 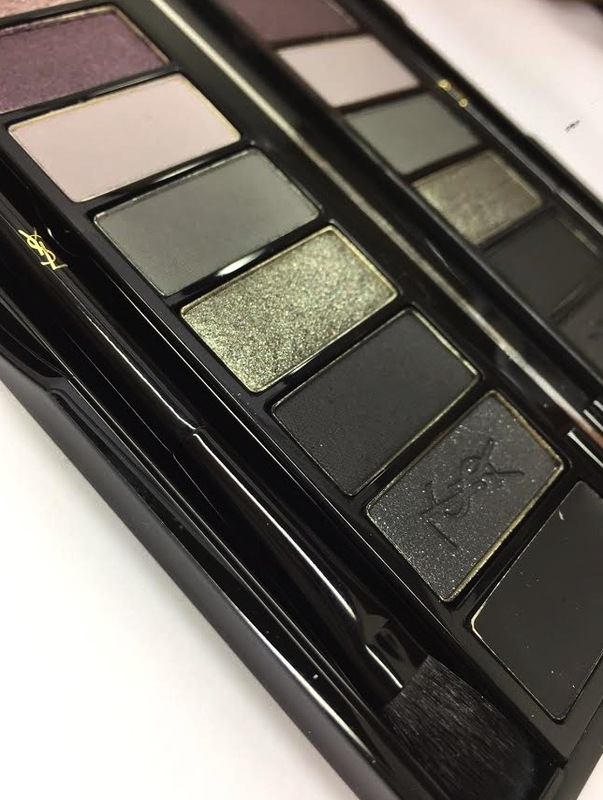 Well YSL have launched an imperfect perfect eye story to help us create the ultimate smudgy unkempt smoky eye. The underground eye palette holds 10 shades in a portable slim line compact and duel ended blending and liner brush. 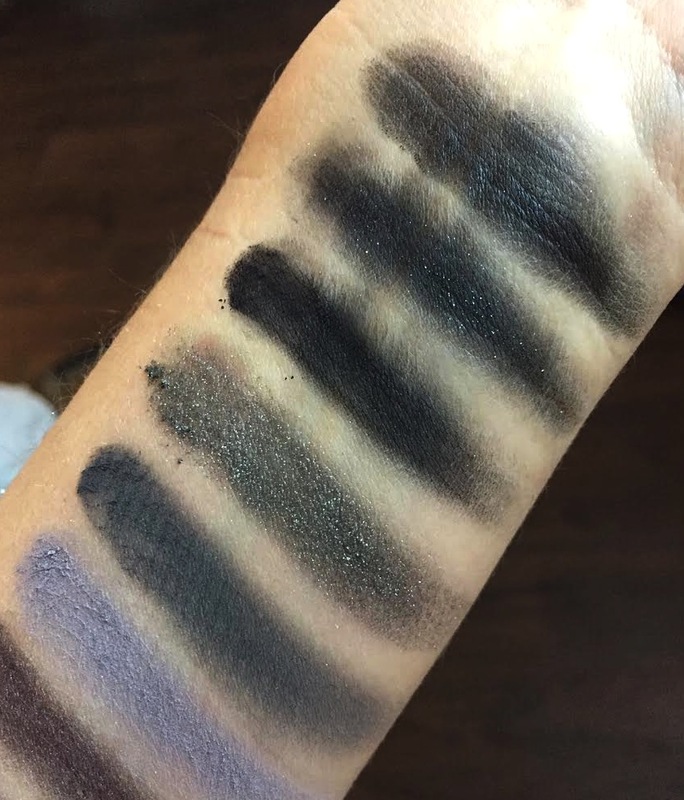 The shades are a gradient from cream to lavender, blackberry, slate, charcoal and on to black. 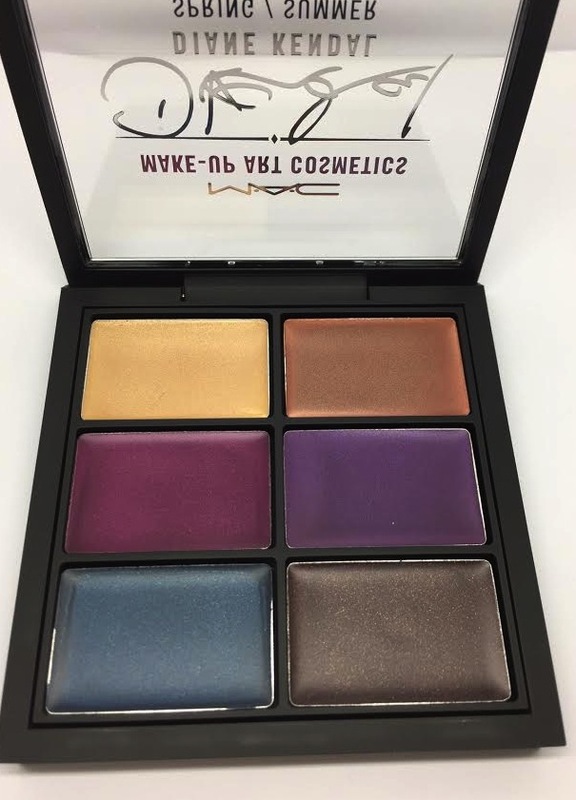 The finish is a mix of matte and shimmer but it’s the texture and bendability that gives this palette the wow factor. The first and last colour chips ares a cream primer, which helps build intensity when used as a base. 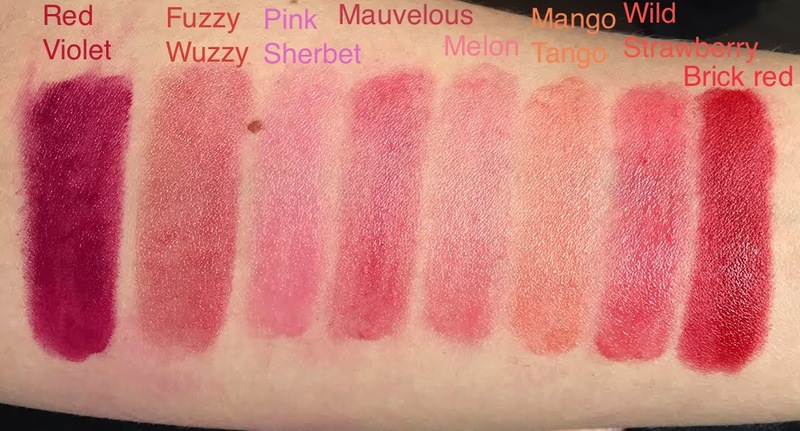 The remaining shades are powder but can easily be mistaken for the texture of a cream. 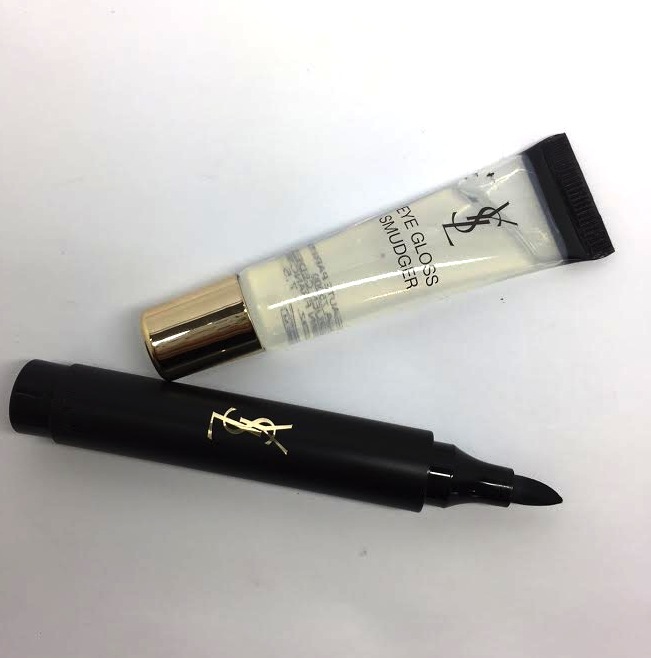 Even the brush with its delicate YSL embossing is a beaut. 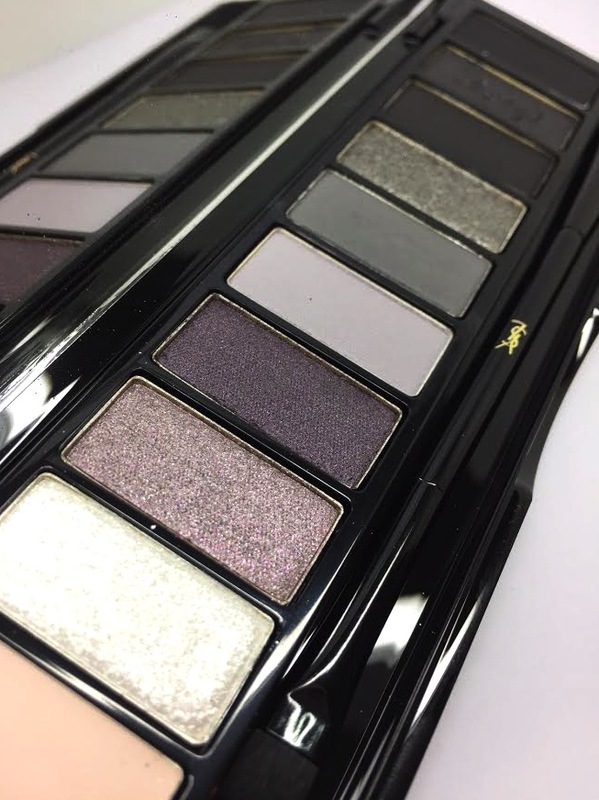 This palette will create the ultimate intense eye suitable for all skin tones and eye colours. Perfect for those who like black and every other shade that blends seamlessly with it. Next up is the couture eye marker. Chunky felt tip pen style liner with a glossy jet-black finish. The nib is flattened on one side so you can still get a little precision however this beefy tip is not designed for perfection. It’s more of a “I’ve been out until 4am dancing to the Prodigy and couldn’t give a s**t” kind of liner (we’re in bed by 9pm, but that’s what we’re imagining). 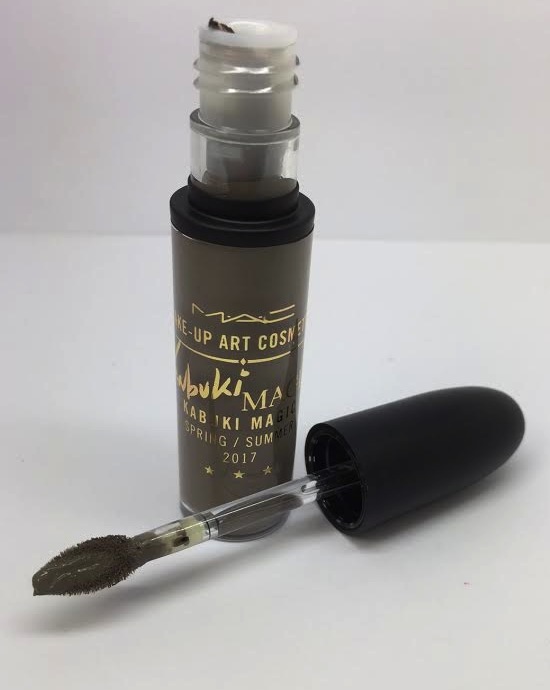 This eye marker is not going to be one that remains fluid for very long and if you’re not careful to replace the lid it would probably dry up if repeatedly used on top of powder. Unless you have never watched a Pixiwoo tutorial then you will know of our devotion to the YSL Volume Effet mascara. It’s one we return to again and again. If you like long, separated lashes, which create impact, then give this one a shot. Again, it dries out too quickly for our liking but it’s a fabulous mascara. 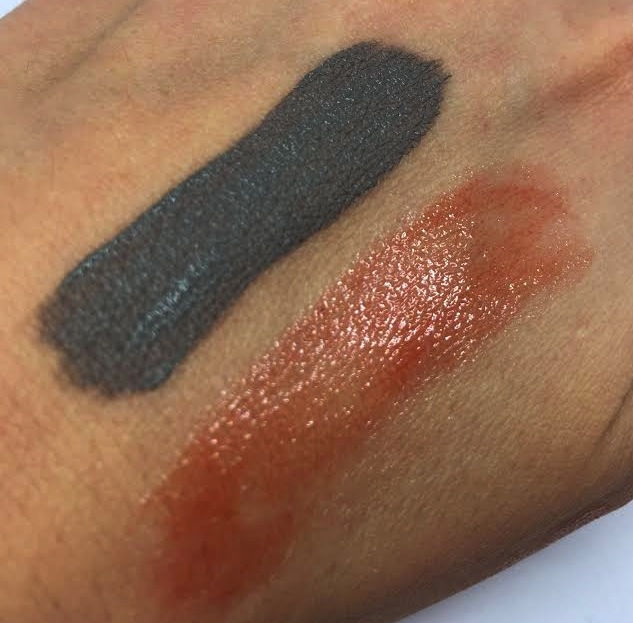 If you want to take your grungy eye to the next level then grab yourself the eye gloss smudger too. 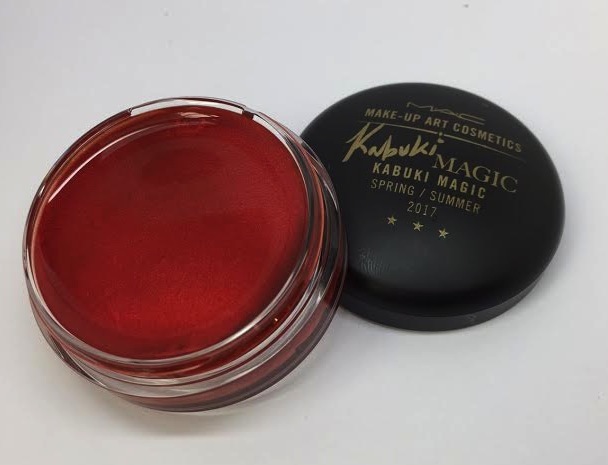 It’s a non-sticky, balmy textured crystal clear gloss, which will add a pop of high shine to your lid. It won’t stay in place, it will definitely crease your eye shadow and I promise your hair will get stuck in it…but that’s the idea. 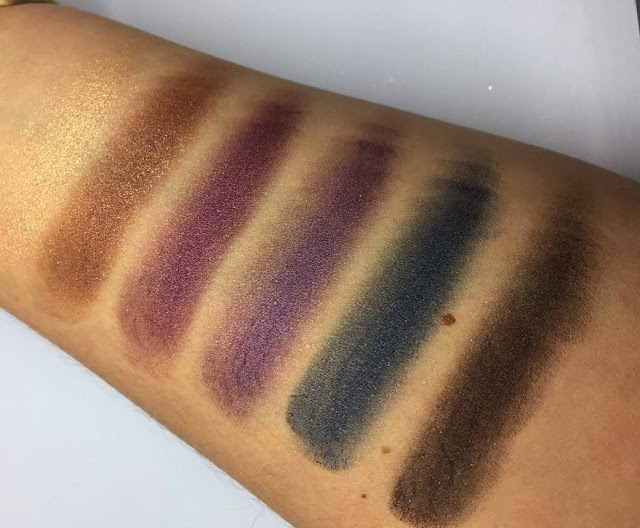 This type of product works so well with the tones of the underground palette so if you can bear to blur your beautifully blended eye then get dabbing this onto the centre of your lid. This collection is available nationwide in all your usual locations from February 1st. Wearing this type of eye over Valentines is bound to get you into all kinds of trouble, enjoy. Anything that states that it gives more energy to tired parents is something that I need to try! It’s the first product I have seen which actually refers to benefiting a parent’s skin. I guess the parenting market is a massive industry that Clarins are also trying to tap into, who can blame them. It’s a liquid booster, which you add 3-5 drops of to your regular moisturiser or foundation and massage in. It’s not to be used on its own, not sure what will happen if you do, but it’s not recommended. It comes in a 15ml container with a tiny opening, which dispenses drops slowly. It mainly contains ginseng, which has a stimulating effect on the skin. 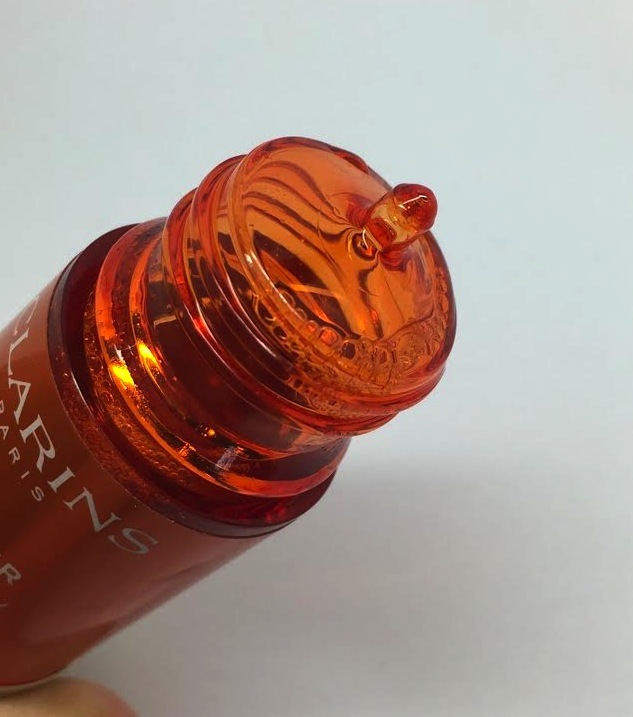 I love these little skin boosters that Clarins keep bringing out. 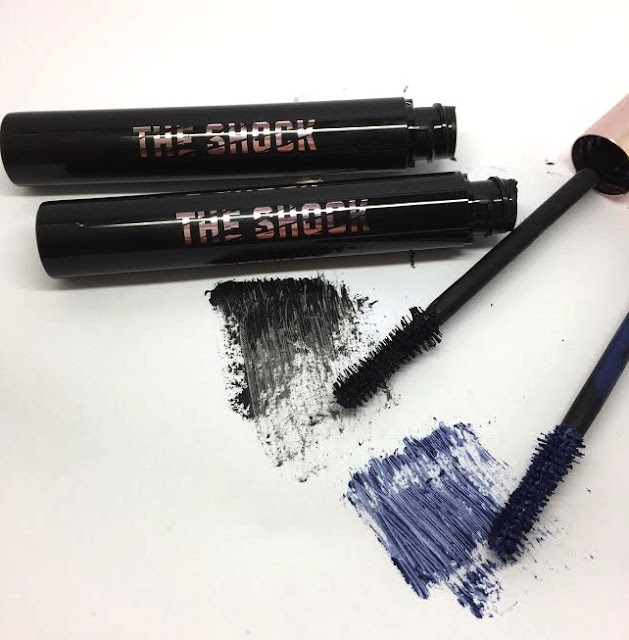 They are easy to drop into your makeup bag and whip out when you feel you need a little shot of something, or for when you’ve had too many shots of something else! It doesn’t really have a scent and doesn’t add any texture to your existing moisturiser/foundation, which is nice. Weirdly I think it did give me a little boost. I don’t know if it’s the basic act of adding something into your foundation and mixing that makes it feel like a more luxurious application or if it really did liven my skin up. The results are not as dramatic as you may wish for after 3 hours sleep and baby sick in your hair but it’s refreshing and had a tightening effect, especially around my under eye. It also aided the blending of my foundation and seemed to offer a smoother base with no cling in my dryer areas. This booster is also great if you fly a lot (it’s under 10ml so fine for aircraft) or if you feel your regular moisturiser or foundation needs to be a little more customised for you. 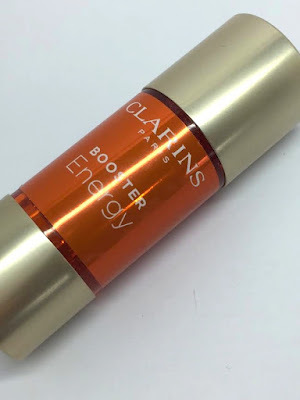 Clarins also have two other boosters in the collection including a repair booster for damaged or sun scorched skin and a detox booster if you have over indulged. Each booster is £30.00 and available here. Here’s one for those who have a combination to oily skin, which is also feeling a little confused and dehydrated. 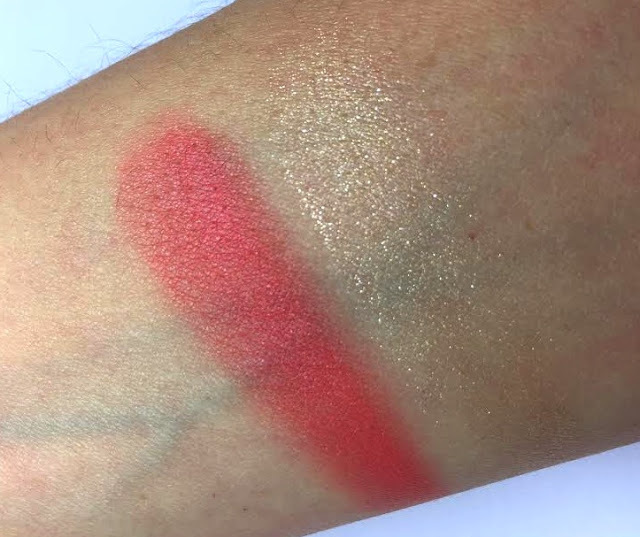 Firstly the texture is wonderful and if you are someone who doesn’t have a lot of time in the mornings and has to apply their foundation straight onto a moisturised skin then you will love this. 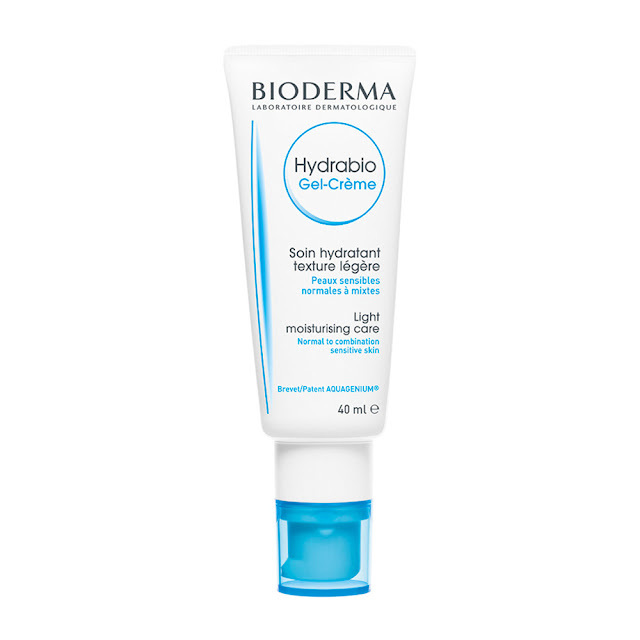 It is a crème-gel so it provides a good shot of hydration but in a super lightweight gel. It absorbs quickly with no residue but provides a wonderful smoothing finish ready for your foundation application. It feels refreshing and calming so would be nice on a slightly stressed out combination/oily skin. Apple Seed extract to which stimulates the aquaporins. Aquaporins are channels, which allow water to pass along and transfer into the cells within the skin. This results in a skin plumping effect. Vitamin E to protect and fight free radicals, which can lead to premature skin aging. Salicylic Acid, which is great on a problematic skin. It helps with inflammation and loosens dead skin. It doesn’t feel tacky; it feels very comfortable on a stressed skin and is a really awesome base for an oily skin. If your skin is feeling like it needs a little more hydration they also have this in a cream. A 40ml tube of this is £14.50 and available here. OH MY DAYS! 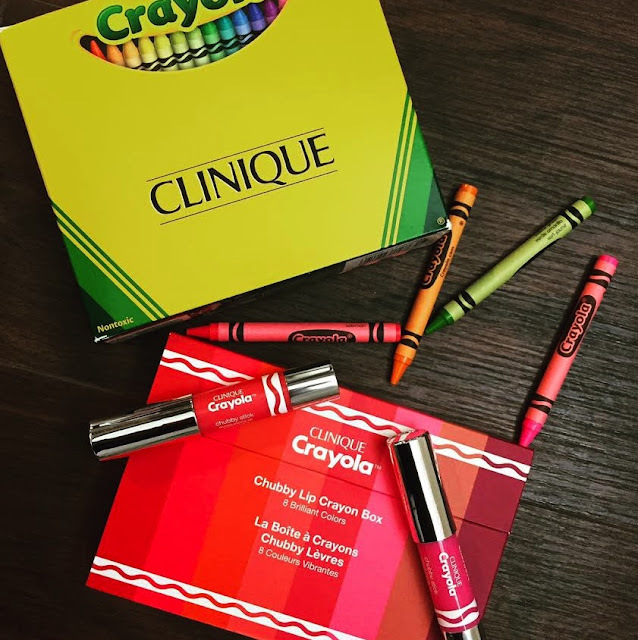 How super cool is this collaboration from Crayola and Clinique. 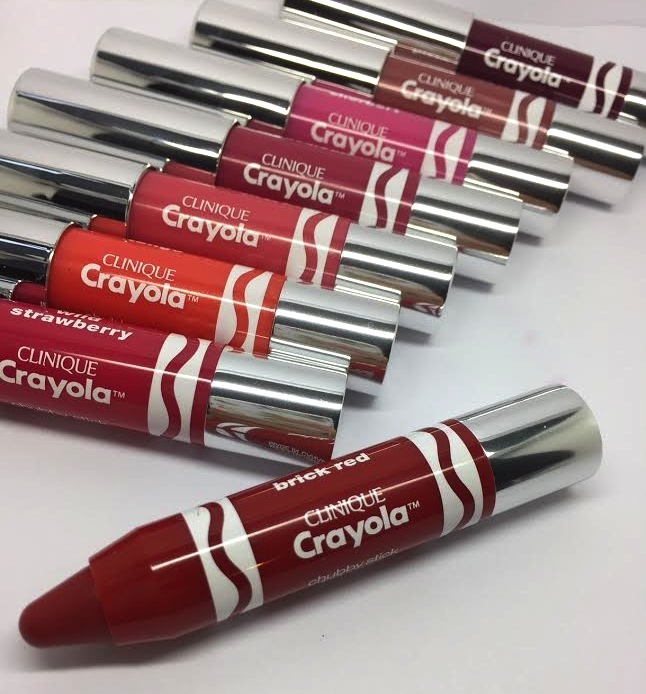 So I know it’s the standard chubby stick however by cleverly teaming up with Crayola, Clinique have awakened a nostalgic excitement in us. We all remember opening a brand new box of Crayola crayons as kids. The smell, the textures on the paper, the classic shade names. It was through Crayola that I learnt what shade Cornflower, Robin’s egg blue and Magenta all translated as. 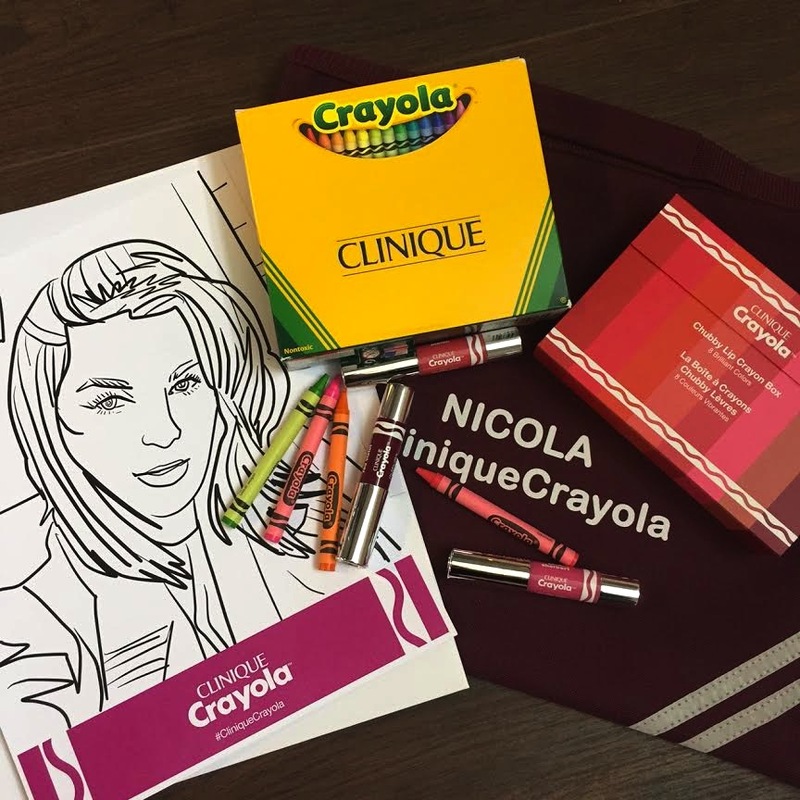 Clinique even included a colouring in picture of Nic and a box of crayons in our parcel. Such a fun idea. Congrats Clinique marketing team, you nailed it. Anyway, onto the product. Clinique have launched 10 limited edition shades, which, will be sold exclusively at Selfridges and online from 3rd February for those who can’t get to Selfridges. Each Chubby lip crayon is a moisturising balm, which provides a mix of bold and sheer tones delivered through a satin, moisturising texture. Nice array of fresh tones to slick on in a hurry this Spring/Summer. 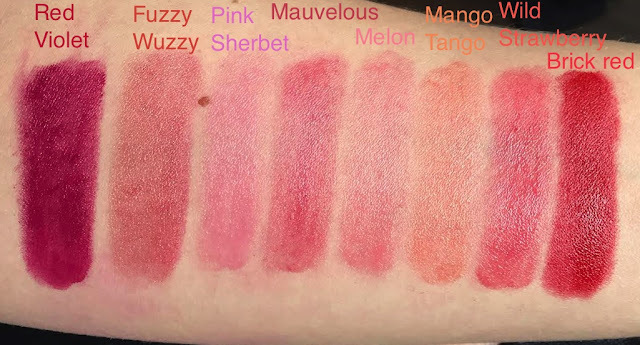 All of the shades are pretty sheer with the exception of Red Violet and Brick red which have a bolder pigment. 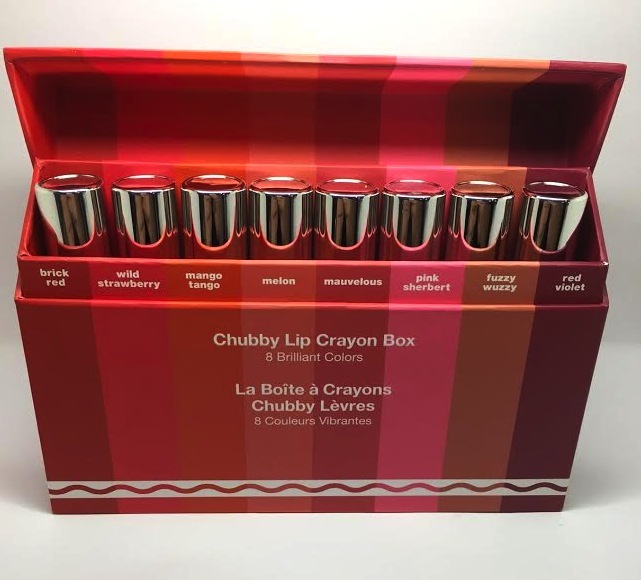 You can purchase the Crayola Chubby stick box as seen above for £35.00 or purchase individually for £17.50. Both available here. Recently I have been feeling like my skincare needed a bit of a shake up and I fancied trying out some alternative cleansers to my normal choice. 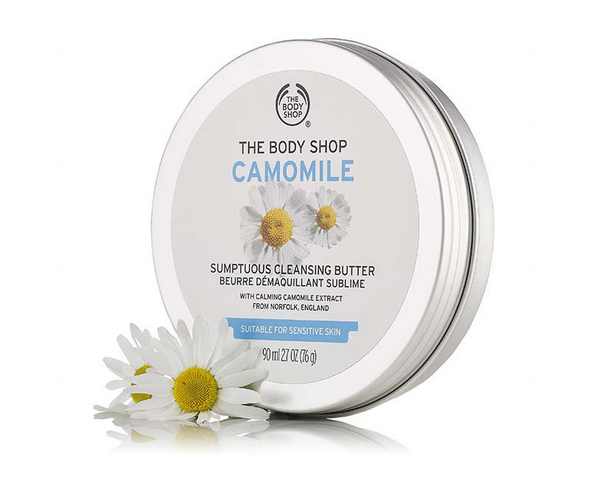 I happened to be in The Body Shop and picked up the sumptuous cleansing butter for £10.00. The fact that the Camomile extract is from here in god old Norfolk pulled me in (if indeed it actually is!). It’s targeted for a sensitive skin and being a balmy butter means it would be suitable for both oily and dryer skins, so I gave it a shot. It’s quite a slim line 90ml tin so my first thoughts would be that it wouldn’t last that long but I have been using it for a good month night and day and don’t have a visible hole in it yet. It’s a nice soft balm, which transfers onto the fingertips easily without much pressure. The ingredients include Olive fruit oil, Shea butter, Sunflower oil and Chamomile. It has a slight fresh Lemon fragrance. 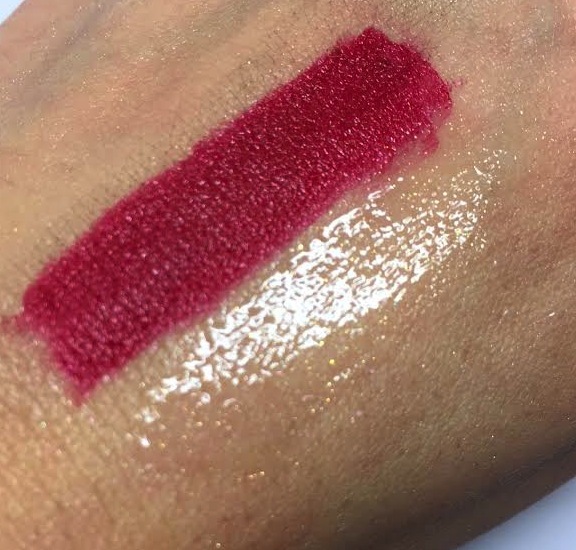 It feels a little greasy on initial application but as you massage it into the skin it lifts off all makeup, even mascara and stubborn lip products. The best thing about this cleanser is that it washes off really easily. I didn’t feel like I needed to use a second cleanser to remove it and I didn’t have to keep washing over again to remove the residue. My skin feels so clean and smooth after use and over the last few weeks my skin has felt clearer and evened. It’s lost its slightly aggravated redness and feels balanced and even. This cleanser is particularly lovely on a combination, irritated or oily skin because it doesn’t feel buttery or greasy but would be nice on a normal or dryer skin too. The only negative I have is that I don't particularly like the tin style packaging. it's good fro travelling and storing biu when you have wet hands in the bathroom it's really annoying to undo and close up again. It's a minor problem though and I can deal with it! This is definitely one I’ll be purchasing again. You can get hold of it here. This month MAC is collaborating with three legendary makeup artists to bring us a collection of both new and some re-promote products. 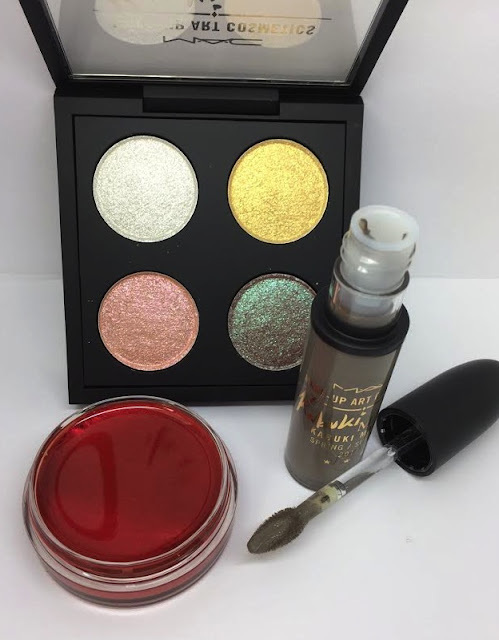 The makeup artists involved are Diane Kendal, Kabuki and James Kaliardos and they have each designed a set of products to sit within the collection. 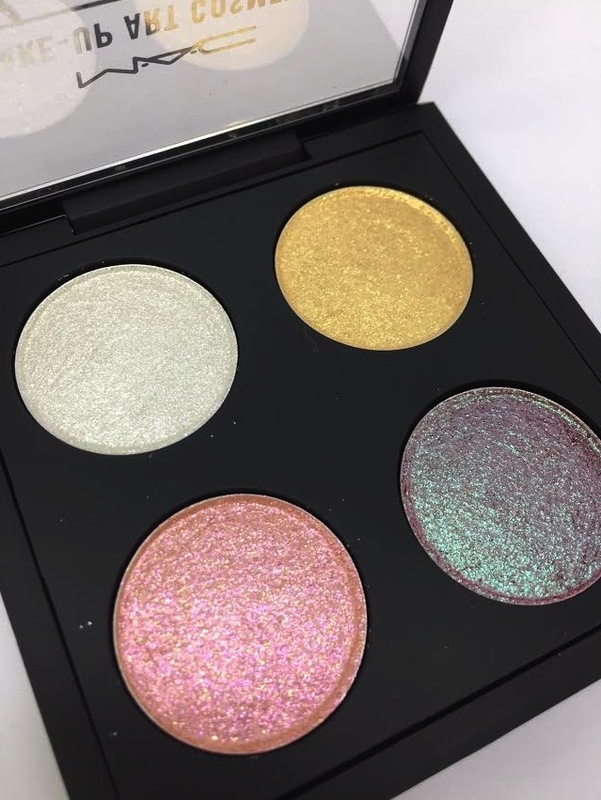 The eye shadow quad holds four shimmering shades in silver, gold, pink pearl and a brown shot with a green pearl (exactly like blue/brown pigment). 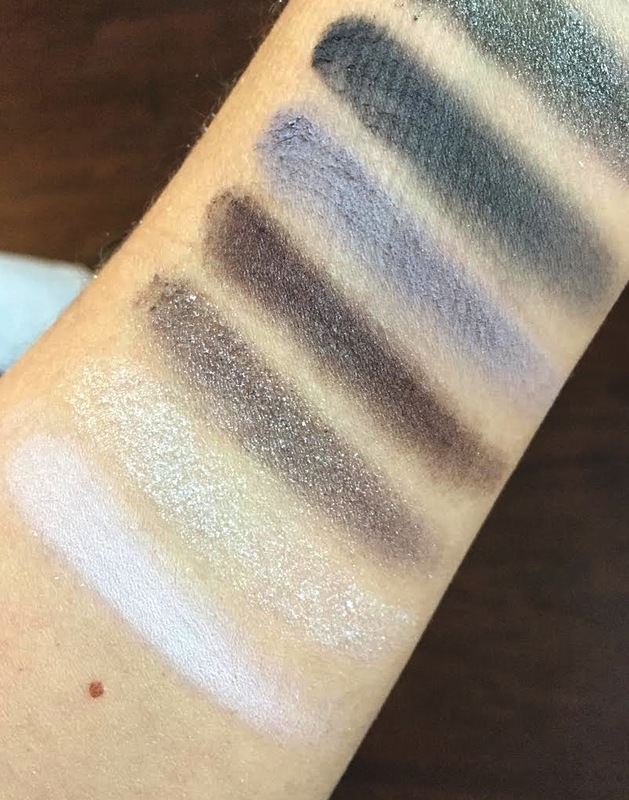 Payoff is good and the lighter shades look pretty pressed over a bolder base shadow. 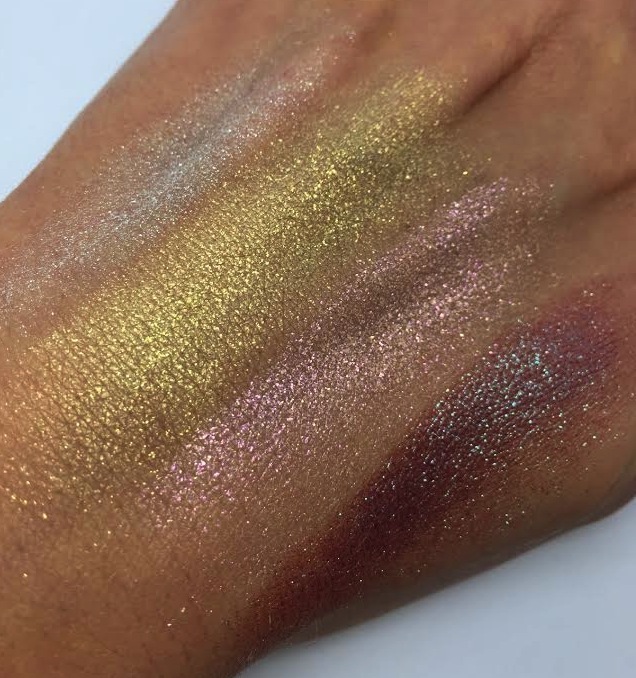 Blendability is good but the glittery pieces do spread so use a firm brush when blending. The Studio eye gloss in Crystal Glass is a stunning burnt orange. I almost want to lick it, it looks so appealing! The eye gloss is best worn alone on a naked lid, as it will creases and separate any powder, which is worn underneath. If you are using it for a short period of time for a shoot it will sit well temporarily on top of powder. It feels very sticky and you will be pulling your hair off of it all night but it’s a fun product for your kit. The colour isn’t quite as bold when patted onto the skin. For the lips there is an interesting shade of gray in a retro matte liquid lip colour. Would look better on a deeper skin tone or again for a shoot but I’m not sure it’ll be a sell out product for MAC. We only have one product from this collection but it’s probably our favourite. 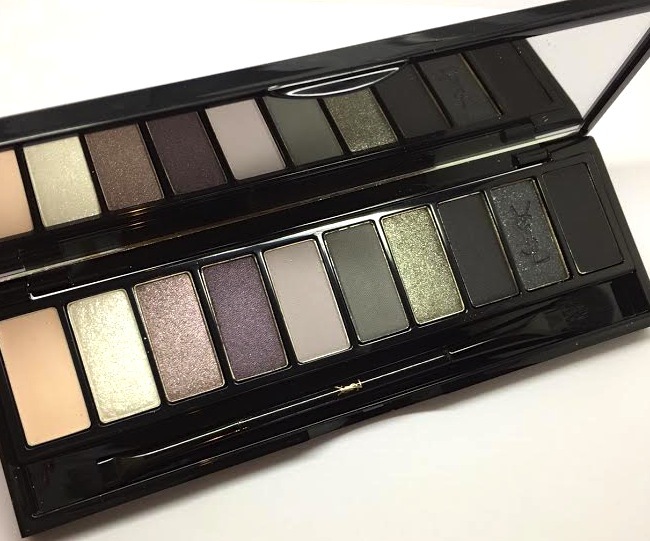 It’s a palette of 6 cream eye shadows, which are really nice to use as a base for a smoky eye. The cream is quite a dry texture so they don’t feel greasy. Pat these onto the lid as a base and then layer over a deep toned powder for an intense eye. The blush is a duo of cream products in a bright apricot peach and a subtle gold, which provide a very natural warm sheen. The apricot is lovely for a summer flush to the cheeks. For the lips we have two products, a lipstick in a satin cherry red and a two-tone peach gloss shot with a golden sparkle. 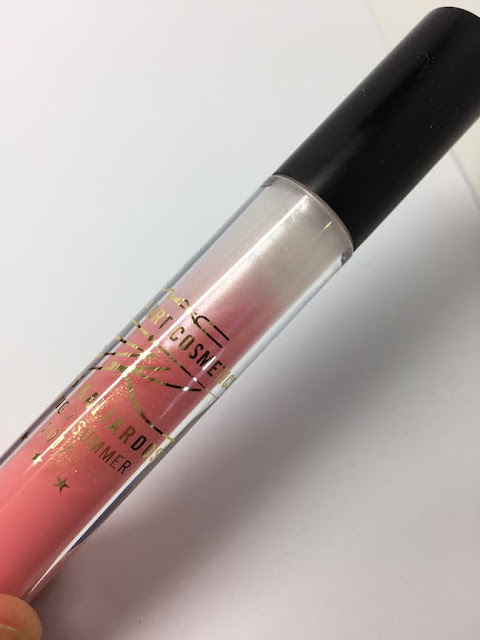 The gloss looks very pretty in the packaging as the colours separate to give an ombre effect but after you have pumped the wand a couple of times they soon bleed through into each other. The colour pay off isn't very good in the gloss however. It's pretty much clear with a slight peach sparkle. 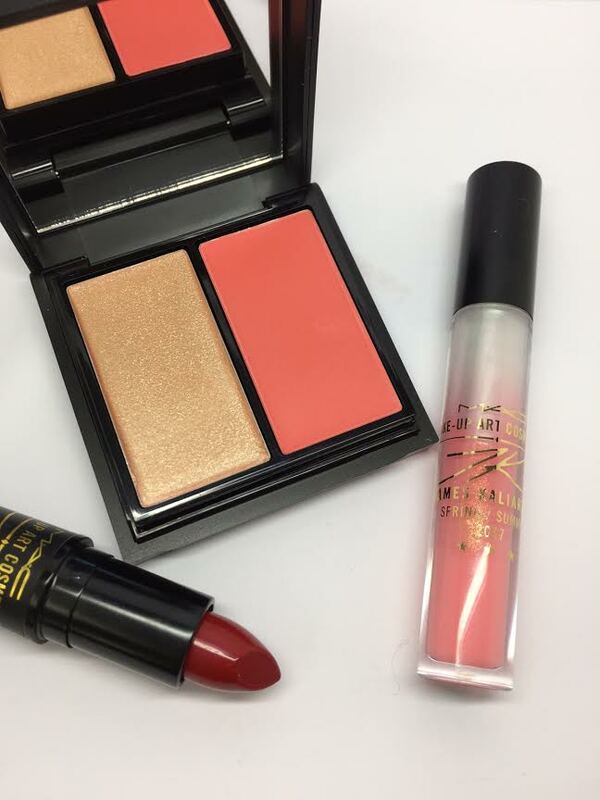 This collection launches this month in stores so let us know what your favourite products are from the launch. Sam will be featuring pieces from this collection in tonight's tutorial at 6pm. This tutorial is more for the Christmas party season but there is no reason why you couldn't rock a sequin in January! You may possibly be all partied out but if you still looking for an affordable look for a special event then check out Nic's tutorial.